Not many modern shows embrace the beauty of a Halloween episode. There are a few shows out there, but none quite make the holiday a true spectacle like Brooklyn Nine-Nine. Out of the five Halloween episodes, the first and the third standout as the best examples. The third entry edges out the original because this was the first time things went to another level. After this, each episode tries to recapture this magic but doesn’t get anywhere close. 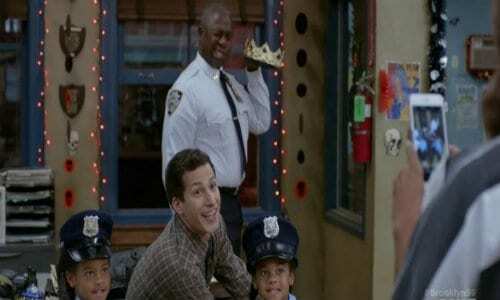 Part III highlights the bond between Jake and Captain Holt but also involves the rest of the crew in on the action. Pure Brooklyn Nine-Nine insanity! 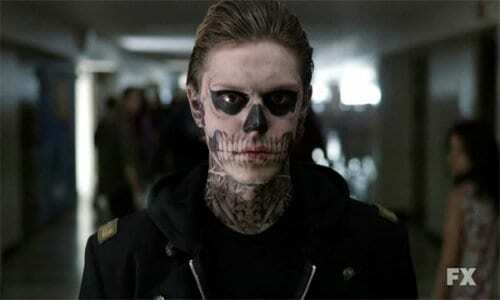 If there was any series made for Halloween episodes, American Horror Story is the one. That makes picking the very best Halloween-themed AHS impossible, but for this instance, I went for the very first one. This two-parter is more focused than other entries and sets up a mythos that you feel in nearly every season. The dead can roam free, or even come together in one place if you remember Devil’s Night in Hotel. This concept makes for a great Murder House’s episode that is thrilling and haunting. From a demon baby to Columbine references, you won’t forget this! 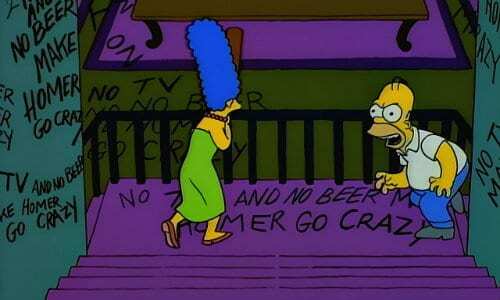 One of the only television shows to make an event out of Halloween episodes; The Simpsons created one of the best yearly Halloween moments with “Treehouse of Horror.” The fifth entry is the fan-favorite and lands on this list for more than that reason. This episode is brilliant and pulls no punches with the horror references. The segments Time and Punishment and Nightmare Cafeteria are both great, but the shining star is the Stanley Kubrick parody, The Shinning. Seeing Homer going insane on his family, but motivated by this film works so well. 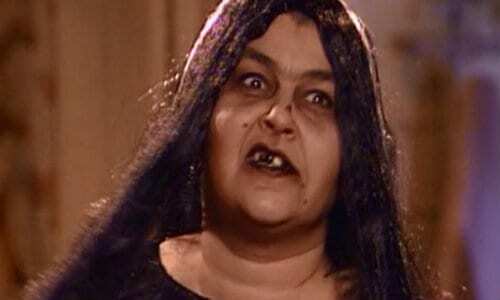 Roseanne Barr was once the queen of Halloween episodes. The original run of her sitcom boasted an impressive Halloween episode nearly every season, and it was hard to land on just one for this list. “Boo” places so high on this list and above the rest of the other specials simply because you can feel the pure love of the holiday. The show embraces all things spooky and scary with a pranking war, countless horror references and some good original scares of its own. The whole situation about the recent reboot is sad as seeing Roseanne try to top this episode would’ve been a joy. Young, old. Horror fanatic or cartoon lover. 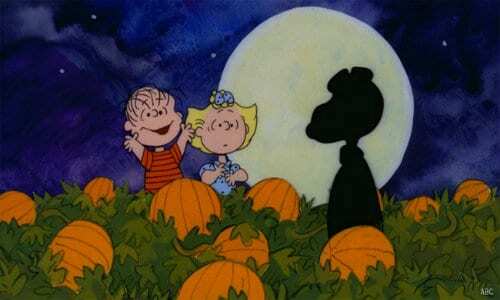 The Peanuts Halloween special is one of the most watchable things for the holiday. “It’s The Great Pumpkin, Charlie Brown” reaches all viewers with its hilarious look at one bizarre night for the beloved Peanuts characters. From the titular Charlie Brown having the worst night of Trick or Treating ever, and the adventures of Linus and Sally waiting for The Great Pumpkin, there’s so much to enjoy. But for me, the best part is seeing Snoopy fly his doghouse to fight The Red Baron; it’s one of the franchise’s best moments ever.